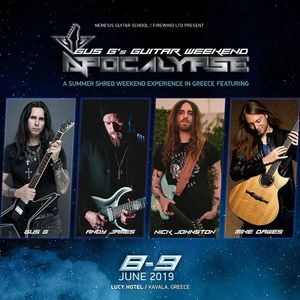 In a world where only the best come out on top, Gus G. is one of the most respected and renowned rock metal guitarists of our time. Hosted by “Nemesis Guitar School”, the first educational Guitar Camp in Greece, is loading! A unique experience that is aimed to combine guitar sessions & masterclasses by world famous guitarists, with holidays and action! An event for all ages, levels, for those who share the same interests as well as their true love for music and guitar.